Joe discusses – Why woman love when a guy plays hard to get, Newcomer Brian Cassidy joins the TJCS and talks about his best night with two girls, Ronnie Miller and his new found illness, and more! Joe discusses – Should Transgenders be allowed to use whatever bathroom they want, Caitlyn Jenner uses the ladies room at Trump Tower, Former Head Coach Bobby Knight endorses Trump, and more! Joe discusses – Trump’s clean sweep and says Clinton is playing the ‘Woman’s Card,’ Clinton has the nomination locked up, Lil’ Kim trying to be white and blonde, and more! Racist James gets Botox, Trump calls the Cruz-Kasich alliance ‘pathetic,’ Ronnie Miller talks about his nightly routine, and more! Joe talks about: People shouldn’t change who they are when in a relationship, Trump’s camp says he will start acting “more presidential,” New causes for cancer, Birdman goes off and more! Today’s show is dedicated to Prince – Joe discusses Prince’s best songs of all-time and where it ranks in music history! Joe talks about: Registering for Landmark Forum and listening to people’s opinion about it, Why do people despise the fact he’s in favor of Trump, Do you agree the US Treasury should change the face to the $20 bill, and more! 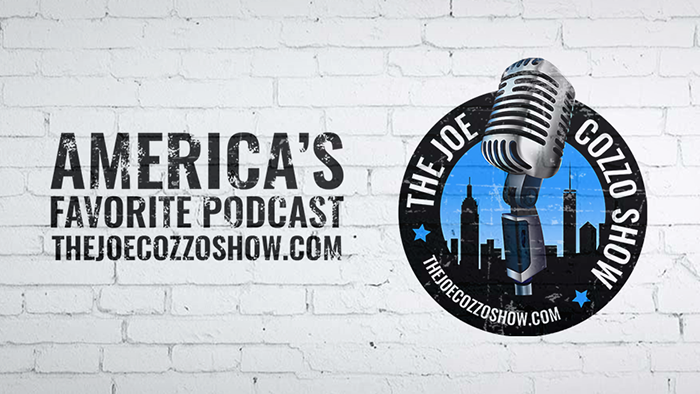 Joe talks about: Some National 4-20 Day topics, The NY Primary Results, Trump Train back on track, Hillary Clinton takes care of business, and Jenny comes on the show! Joe discusses: His big dance competition weekend, HUGE NY Primary today, Rocky Mountain High: Colorado’s “Bud &amp; Breakfast,” Joe attempts to show off his new guitar skills, and more! Joe talks about: Brooklyn Debates – Bernie vs. Hillary, Karma and how it’s great when it comes around against someone you know, Ronnie Miller vs. Eddro: “battle of the songs” and more! Joe talks about: Hillary Clinton and Mayor de Blasio’s bad racist joke at a Black Lives Matter event, Having that “fever” when you really like someone, Ronnie Miller and Crazy Robert check in, and more! Joe talks about: Guys being treated right by their girlfriend while driving (lol), Stephen Hawking’s new space project, Jenny discusses the minimum wage issue, Ted Cruz train gaining momentum on Trump, and more! Joe talks about: How he was in a full-blown depression on Sunday, How apartment hunting in Manhattan was a disaster, Ted Cruz may actually beat Donald Trump, and more! Joe talks about: Hillary Clinton wants to open up Area-51 and declassify UFO files, What type of soldier would you have been if you fought in the Vietnam War, Trump vowing to do more for blacks than what Obama has done, and more! Joe talks about: Not being able to go out on work/school nights anymore, Do you really think Donald Trump is a racist, Would you cross party lines and vote for who you think is “best qualified” to be the President, and more! Joe talks about: Do people who live in NYC have a different “mindset” than people who live in the suburbs, How motivational speeches on YouTube help with everyday life, Ted Cruz and Bernie Sanders win Wisconsin, and more! Do you trust Senator Ted Cruz to be President, Donald Trump is down, but is he out, Is Bernie Sanders too old to be President, Villanova wins NCCA title in a buzzer beater, and more! Joe embarrasses himself yet again over the weekend, Drone strikes: are you in favor of them, The Walking Dead (no spoilers), Do you think OJ Simpson is innocent or guilty after watching the show, and more! Joe talks about: April Fools Day edition, The Rise and Fall of Donald Trump – Trump’s views on abortion and nukes, Ronnie Miller gets put to the test, and more!